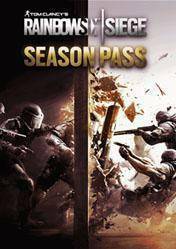 Buy Rainbow Six Siege Season Pass cd key for PC in digital version at best price is already possible by Gocdkeys! You can preorder Rainbow Six Siege Season Pass for Uplay in any of the online shops registered in our price comparison site. To activate the download from Uplay, you must add the digital serial of Rainbow Six Siege Season Pass into your user account. The new tactical shooter from Ubisoft already have the season pass with which you can download all the extra content (DLC, content packs and expansions) that will be launch for Rainbow Six Siege. This title is inspired by the anti-terrorist police groups operating throughout the world, and invites players to master the art of counter-terrorist tactics. Heavy fighting where we play the role of leader of a police group and develop techniques and tactics to resolve any situation against terrorists. Remember that this title is the season pass, and does not include the original game, but to access the entire contents of Season Pass you will need the original game on your Uplay account. Remember that all stores appearing in gocdkeys have been tested by our team so they are 100% reliable, even so, we recommended you to carefully read the specifications in each store at the time of shipping, ways of activation (in case they are digital versions) and methods of payment. SO.. I played Rainbow Six Siege again..
RaINBoW New season + season pass + i have all Eilte..